Our email marketing metrics understand the singular nature of communication and build messaging accordingly. We understand your market exceptionally well and help create a unique email marketing proposition that grabs the attention of audience instantly. Are you always left wondering if your email went to the spam folder of the customer or did they click on your email campaign? Spam marketing ends up as a waste and a drain on your resources. A good design and an interactive content is the outer layer that still needs substance and technical acumen to be delivered. Will your email work to catch the attention of the consumer? Will the marketing touch a chord? Email marketing is target specific, which works on defined parameters. You have to understand your market exceptionally well in order to create a compelling proposition and still grab the attention. Email marketing is powerful but can also fall to deaf ears instantly. Interactive Bees has been market oriented towards its communication and understands the territory very well. 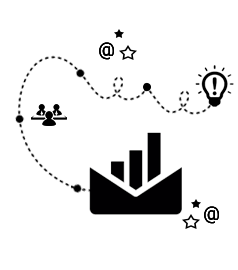 We do not create a one for all communication but charge your brand to communicate effectively. We understand the dynamics associated in the communication process and build themes around it. Our email metrics are positioned to provide you with quantifiable open rates and click through rates so that you are always in control of your budgets. You can find the reach and substance of your campaign with metrics like email tracking that makes sure to tell you if it has been delivered, read or deleted without gaining any attention. Our experts work dedicatedly towards creating the proposition with attractive designs and content so that the target market is hooked. The email tool might be a bit unfashionable but gets you closer to subscribers with newsletters and other informative content. It keeps the customer or the target market in the loop and gets your brand to enjoy unrestricted patronage. 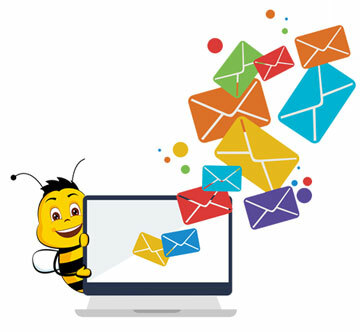 Make sure to get in touch with Interactive Bees today so that you get to find the flavors of using email marketing.